Under the artistic leadership of Cosmin Costinas, Kathmandu Triennale 2020 will be held across multiple venues of different historical and social significance. It departs from several questions debated in the Nepali contemporary art scene and around the world, related to discourses on decolonisation, pluralism of worldviews and systems, and leaving behind the Enlightenment and modern projects with their totalising claims. Nepal has undergone historic and dramatic change after 2006, including the shift from a monarchy to a federal republic, with all the progressive debates and tensions around the basis of re-establishing the nation, as well as the devastating Earthquake of 2015. These moments of reckoning have placed the country and its over a hundred ethnic, cultural, social, and caste groups, including indigenous communities and categories with a long history of marginalisation, in a pioneering position for imagining ways of living together in the world, during the uncertainties of our time. In Kathmandu Triennale 2020, a central position will be occupied by artists working with and from within multiple aesthetic and cosmological perspectives and meanings, manifesting the multiplicities that construct our kaleidoscopic global reality, including practices that have been systematically excluded from the realm of art and designated by a colonial ethnographic gaze as craft, folklore, or at best, “traditional” art, even if these practices often perform analogous cultural and social functions in their communities as art does in the system of global society, and are also constantly evolving and embodying the traces of their contextual transformation and of this often-disobedient instability. In this line of thinking, Kathmandu Triennale 2020 is particularly interested in contemporary practices where indigenous perspectives operate in the field of technology, where bodies and traditions are queered, where masks and rituals are the field of continuously negotiated identities rather than essences, and where folklore is the battlefield of decoloniality, counter-culture, and criticality. Cosmin Costinas will be working with an artistic team to be announced over the next months. Cosmin Costinas (b. 1982, Romania) is the Executive Director/Curator of Para Site, Hong Kong since 2011. He was Guest Curator at the Dakar Biennale (2018), Curator at Dhaka Art Summit (2018), Co-curator of the 10th Shanghai Biennale (2014), Curator of BAK, Utrecht (2008-2011), Co-curator of the 1st Ural Industrial Biennial, Ekaterinburg (2010), and Editor of documenta 12 Magazines, Kassel (2005–2007). 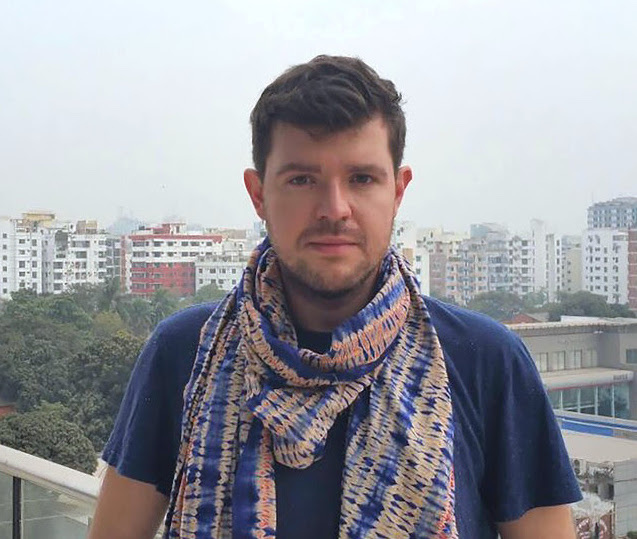 At Para Site, Cosmin Costinas oversaw the institution’s major expansion and relocation to a new home in 2015, and curated or co-curated exhibitions including: An Opera for Animals (2019); A beast, a god, and a line (toured at Dhaka Art Summit ‘18, TS1/The Secretariat, Yangon, and Museum of Modern Art in Warsaw, 2018); Soil and Stones, Souls and Songs (toured at MCAD, Manila and Jim Thompson Art Center, Bangkok, 2016-2017); Afterwork (toured at ILHAM, Kuala Lumpur, 2016-2017); and A Journal of the Plague Year (toured at The Cube, Taipei, Arko Art Center, Seoul, and Kadist Art Foundation and The Lab, San Francisco, 2013-2015) in recent years, a.o. He co-authored the novel Philip (2007) and has edited and contributed his writing to numerous books, magazines, and exhibition catalogs and has taught and lectured at different universities and institutions around the world.